a regional approach to suicide prevention activities with a focus on improved follow-up for people who have attempted suicide or are at high risk of suicide. 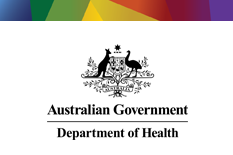 The Primary Mental Health Care Minimum Data Set (PMHC MDS) will provide the basis for PHNs and the Department of Health to monitor and report on the quantity and quality of service delivery, and to inform future improvements in the planning and funding of primary mental health care services funded by the Australian Government. The data reported by PHNs through the PMHC MDS will form the basis for production of key performance indicators used to monitor services delivered across the 31 PHN regions covered by PHNs. Strategic Data Pty Ltd has been contracted by the Department of Health to manage the PMHC MDS on its behalf. A specification of the data items to be collected in the PMHC MDS is available. If you would like to be notified about updates to this specification or announcements about the rollout of the PMHC MDS please subscribe to the PMHC MDS mailing list by sending an email to sympa@lists.pmhc-mds.com with the subject “subscribe news@lists.pmhc-mds.com”. This is not a general discussion list. Only moderated users can send messages to this list. Information about how to get started on the PMHC MDS is available and will be regularly updated. We are pleased to announce that PMHC MDS Update v0.28.7 was released on April 8, 2019. The Key Performance Indicator report ‘App-1 - Youth receiving youth specific services’ has been updated to only include episodes where the Principal Focus of Treatment Plan is ‘Child and youth-specific mental health services’. The Key Performance Indicator report ‘App-1 - Youth receiving youth specific services’ has been updated as it was missing a row for “Not stated/inadequately described” and incorrectly calculated the “TOTAL” row when disaggregated by ATSI status. The user guide has been updated to reflect these updates. It is available at https://docs.pmhc-mds.com/user-documentation/.